Profiles from the website. 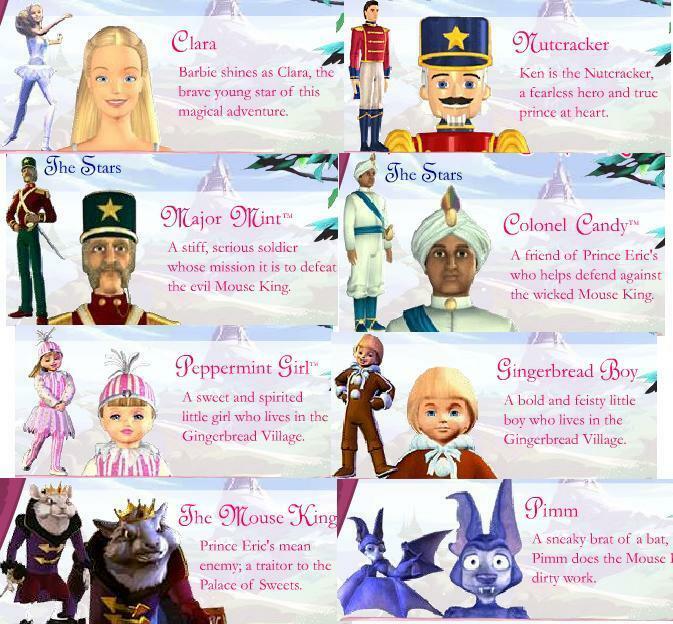 Profiles from the official website, put together in a montage I made a while back.. Wallpaper and background images in the Barbie in the Nutcracker club tagged: barbie nutcracker. Profiles from the official website, put together in a montage I made a while back. This Barbie in the Nutcracker fan art might contain teken, poster, tekst, bord, and schoolbord. I know; it's weird, isn't it? It's something new...new dress of Clara?